Each Nation and each Industry Sector bears an individual responsibility in the fight against climate change. The refrigeration, heating and cooling industry recognises the role it can play to reduce direct and indirect emissions of greenhouse gases. The Organisations who endorse this statement call upon the National Governments to responsibly shape today the climate opportunities of tomorrow, and acknowledge the potential of Natural Refrigerants. Natural Refrigerants, including hydrocarbons, ammonia, carbon dioxide, water and air have negligible global warming potential, and no ozone depletion potential. Natural Refrigerants are already the predominant option or can readily replace fluorinated gases in many sectors today. We call upon National Governments to acknowledge their potential to address direct emissions globally. 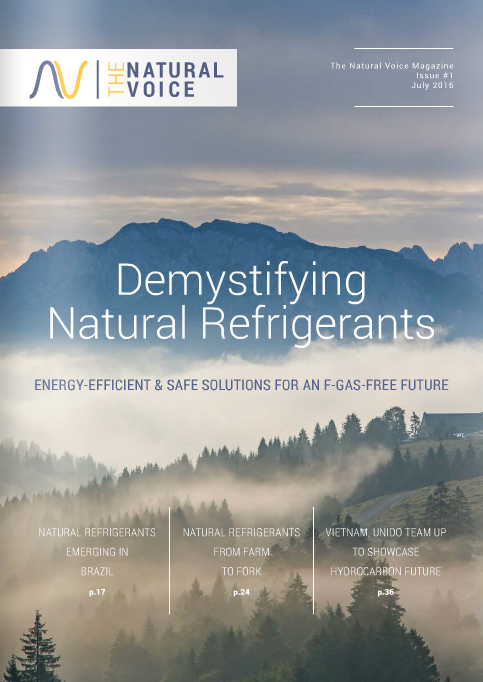 Natural Refrigerants have been known for decades as low-cost substances offering a technically viable and efficient solution for refrigeration, heating and cooling applications. They can be used safely applying industry best practice. We call upon National Governments to remove inappropriate obstacles, including national and international trade barriers and revise safety standards, codes and legislation that restrict their use without merit. The Manufacturers and Users of refrigeration, heating and cooling equipment are convinced that Natural Refrigerants offer unexploited potential for developed and developing countries. We call upon National Governments to provide financial and non-financial support for the research and promotion of Natural Refrigerants and equipment based on these substances, as well as to facilitate a technology transfer from developed to developing countries, to fully exploit their ecological, economic, and social potential. Effective action on fluorinated gases is a ‘low hanging fruit’. We call upon National Governments to agree on an ambitious schedule for the reduction of hydrofluorocarbons in developed and developing countries under the Montreal Protocol without further delay. The signatories of this Statement stand ready to support Natural Refrigerants as a future-proof solution, and call upon National Governments to do the same. *Permitted file format is jpg, jpeg and png. Please send files without background or on a white background. The minimum resolutions is 400x250. and any other party or individual supporting its values. I am confident that CO2 is the future, for our applications at least. CO2 is the only technology that has the safety, coverage, performance and cost we are looking for. We made the right bet. Regulators need to be aware of the virtues of natural refrigerants but also the implementation, something that regulators sometimes are not aware of. Ambition is key to ensure a swift market uptake of climate-friendly [refrigerant] solutions. There is a bright future for enhanced CO2 solutions in hot climates. CO2 has become a successful refrigerant in the food retail industry and now has the potential to revoliutonise the ice-rink industry. I think that the market for the transcritical CO2 technology is huge, especially now that it is proven there are no geographical limitations. The Chinese government will shift the industry towards NH3/CO2 systems. It is moving the same direction as the EU, although it might not be as fast as in the EU. Overall we believe the trend is going the right way, towards natural refrigerants solution. This historical decision [adoption of the EU F-gas Regulation] is a potential game changer for the industry. It is a signal that policies will lean towards more climate-friendly refrigerants in the future. I believe that this decision will also encourage a market transition to natural refrigerants such as CO2 and ammonia in China. *The views expressed here do not necessary reflect an agreement with The Natural Voice and its objectives. 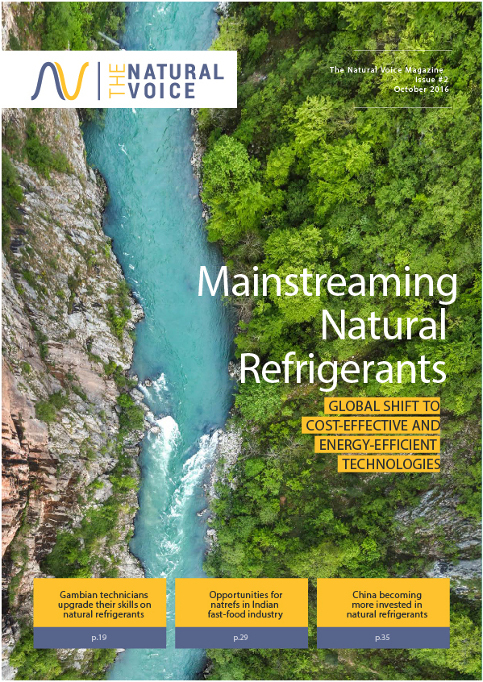 The Natural Voice is an open global statement supported by Industry and other parties speaking out about the potential of Natural Refrigerants as a mainstream solution in a growing number of sectors already today and their potential to replace potent greenhouse gases in many others. The Natural Voice statement will be presented to National Governments and International Climate Negotiators to acknowledge the ecological, economic, and social benefits of CO2, ammonia, hydrocarbons, water, air and other natural refrigerants. It sends a positive message to industry, legislators and individuals looking for future-proof heating, refrigeration and air-conditioning solutions to the climate crisis we are facing. The Natural Voice project will build on this statement to develop actionable initiatives around the world. The more Organisations add their own voice to The Natural Voice, the stronger it will grow. It is open to industry, associations, non-profit organisations, and any other party or individual supporting its values.